NVIDIA has announced that its partners will bundle a free copy of Tom Clancy’s The Division game with select high-end GeForce GTX graphics cards starting this week and for about a month. The campaign will run in the U.S., Canada, in most of European and a number of Asian countries. 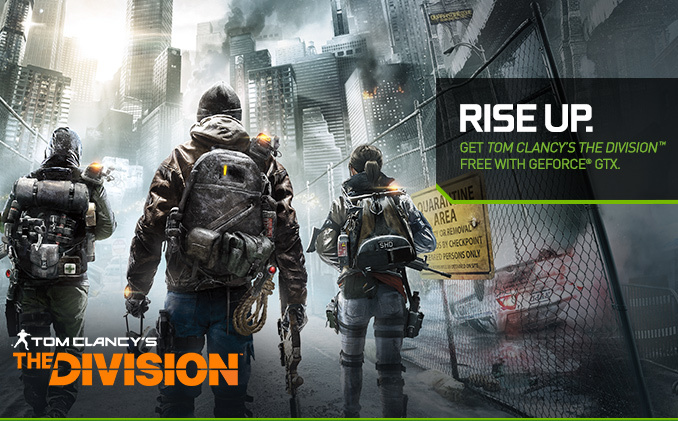 To grab a free copy of Tom Clancy’s The Division, you will need to buy a GeForce GTX 970/980/980 Ti graphics card or a laptop featuring a GeForce GTX 970M/980M/980 graphics adapter made by an authorized producer and bought from a participating retailer. The campaign starts on February 17, 2016 and ends on March 21, 2016. The promotional code expires on April 30, 2016, or while supplies last. The offer is valid worldwide, excluding China, but since not all retailers participate, you may choose to buy a GeForce GTX graphics card in a different country (which in some cases causes troubles with activation). Early buyers will get a chance to try open beta of The Division on February 19 – 21, 2016. Tom Clancy's The Division is an online open-world third-person shooter game with survival elements, which is set to be released on March 8, 2016. 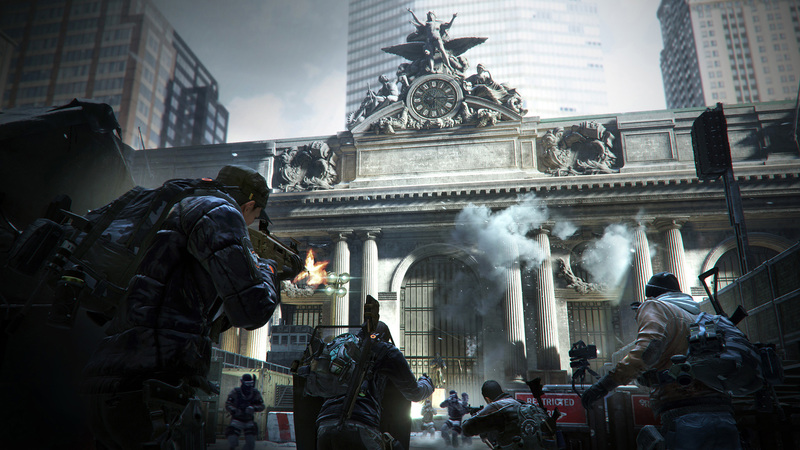 Gamers will have to fight their way through post-pandemic New York as part of The Division team of tactical operatives in a bid to find the source of the virus and restore order. The game features rather detailed destructive environments as well as dynamic time-based whether system. The official screenshots and videos released by Ubisoft look rather impressive and the game itself requires a powerful PC to play. Ubisoft itself recommends using an AMD Radeon R9 290 or an NVIDIA GeForce GTX 970 graphics card, hence, you will need something better if you want to play with all the effects enabled in 4K resolution. The Division relies on NVIDIA’s proprietary GameWorks libraries to produce effects like HBAO+ (improved horizon-based ambient occlusion) and PCSS (percentage closer soft shadows) for additional eye candy. Hence, if you do not have a Maxwell-based graphics card, but want to experience the game in its full glory, NVIDIA's offer to upgrade and get a free copy may make a lot of sense for you. The list of participating retailers, board partners and PC makers in the U.S. is located here. Users in Asia and Europe should check this web-site for details about participating retailers. Terms and conditions are located here.